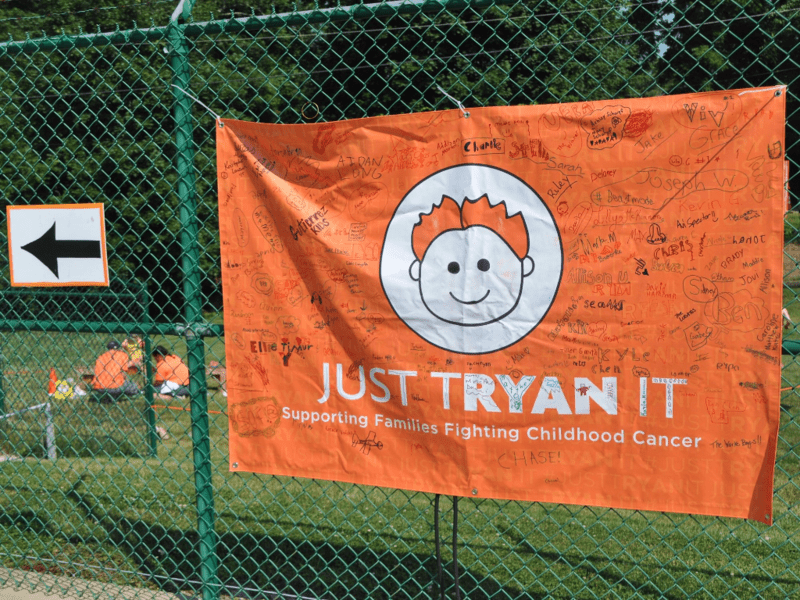 Our latest featured maker, Rosanna Bernstein, was inspired by her own journey through cancer to design and give away dolls for children undergoing treatment themselves. Her Etsy store, featuring Spoonflower-designed blankets, children’s clothing and dolls fuels her generous outreach: All Bee Brave Buddies dolls are sent free to any family who requests them. 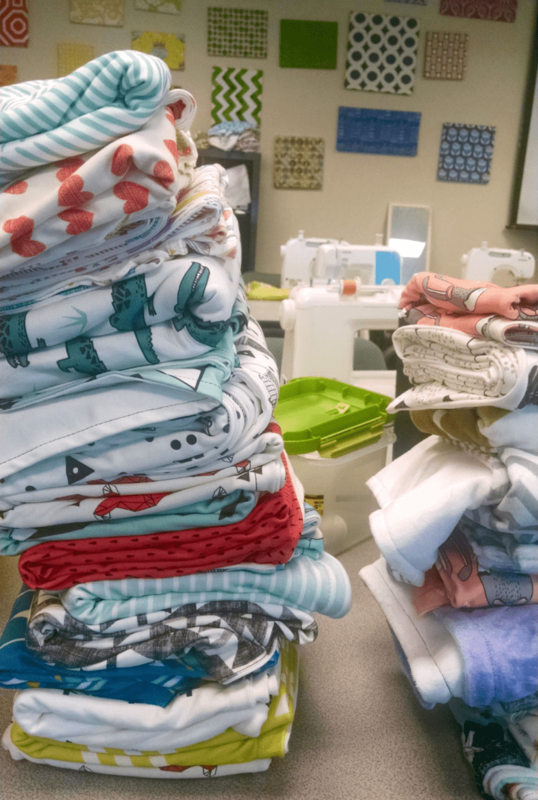 In fact, many in the Spoonflower community have donated fabric of their own to be used! Get to know Rosanna below. My day starts with: “A cup of steaming hot herbal tea and then off to my studio, a few steps away. For the past several years, it has been home to Baby Bonbons, my children’s clothing and accessory shop on Etsy. I generally spend the morning on the computer working with my shop and my nonprofit, updating web pages, organizing sponsors and fundraising benefits to fund the three Bee Brave Buddies dolls I have designed to give children battling cancer around the US, packing boxes to ship both our clothing and the dolls. I designed the dolls and started giving them to children 18 months ago with the proceeds from my Baby Bonbons shop. RARE Bear Mania Hits the Greenhouse! 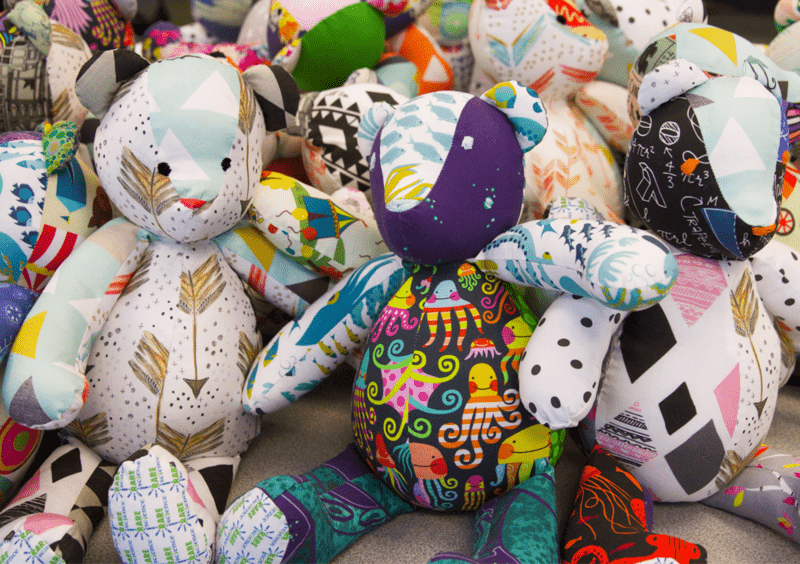 This past Saturday, over 30 community members and Spoonflower employees spent the afternoon sewing RARE Bears for one-of-a-kind kids supported by RARE Science Inc., a non-profit research organization accelerating cures for rare childhood diseases. On this very special afternoon, quilt guilds, sewing groups, and crafty individuals stitched up bears all over the country to Spring into Action. From California to here in Durham, North Carolina, it was RARE Bear mania! [Read more…] about RARE Bear Mania Hits the Greenhouse!